Who staffed HJC’s impeachment inquiry, their staff or WSPF prosecutors? It seems clear that our Constitution envisioned the House of Representatives undertaking its own impeachment investigation. The idea that a group from within the President’s own Department of Justice might do all of the ground work does not appear to have occurred to them. 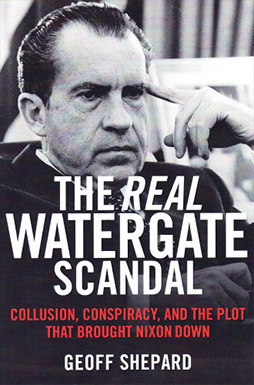 Zeifman’s 1994 book claimed the HJC investigation was controlled by Senator Kennedy’s supporters, who preferred a damaged Nixon limping into the 1976 election. He says they were just marking time and undertook no real investigation on their own. Jaworski’s statements to Woodward during their December, 1974 interview (at Appendix B) indicate his belief that the HJC investigation was superficial and that the WSPF prosecutors did all of the real investigating – which they secretly made available to the Committee. We may not know for sure until the HJC internal records are released in 2024.